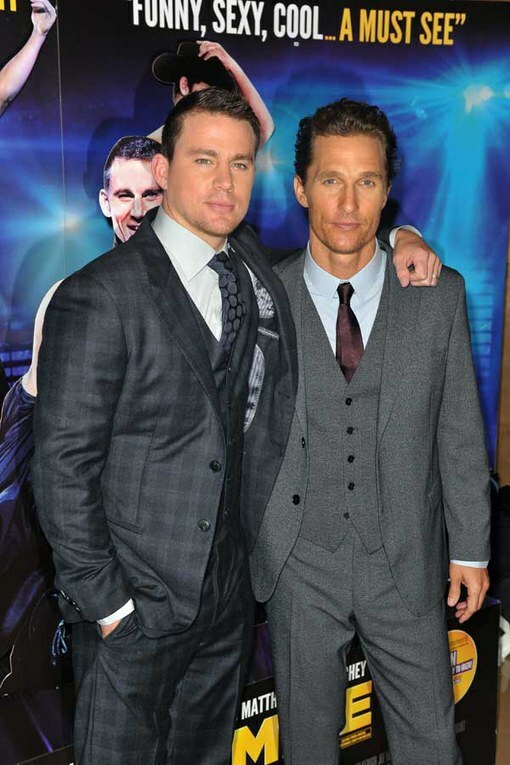 Co-stars Matthew McConaughey, 42, and Channing Tatum, 32, sizzled on the red carpet at the London premiere of their new film Magic Mike. Although the Hollywood hunks play strippers in the Steven Soderbergh directed film, both men kept their clothes firmly on as they posed alongside their wives. Newlyweds Matthew McConaughey and Camilla Alves recently announced that they are about to welcome baby number three into their family, and the Brazilian model look stunning as she proudly displayed her growing baby bump on the red carpet.